Soccer (or football for some of us) was originally thought to be a solely human sport, until the aliens arrived and proposed the ultimate challenge. Soccer (or football for some of us) was originally thought to be a solely human sport, until the aliens arrived and proposed the ultimate challenge. 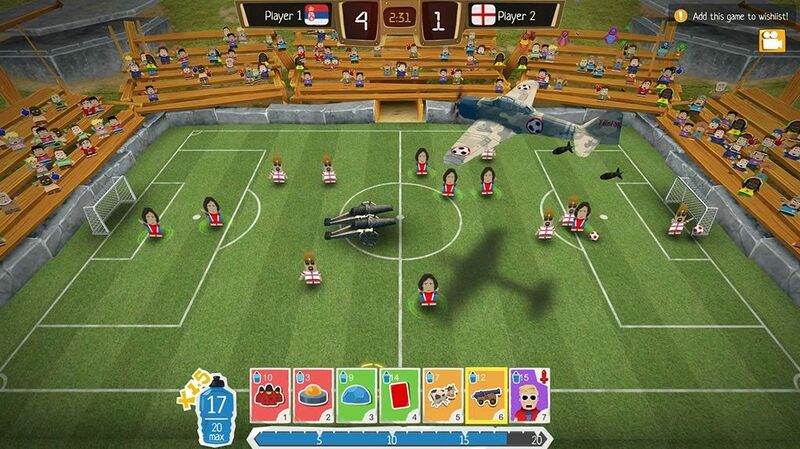 Thus, the World Cup has become the Interstellar Soccer Cup! Defeat the aliens and show them who is the best coach in the galaxy. 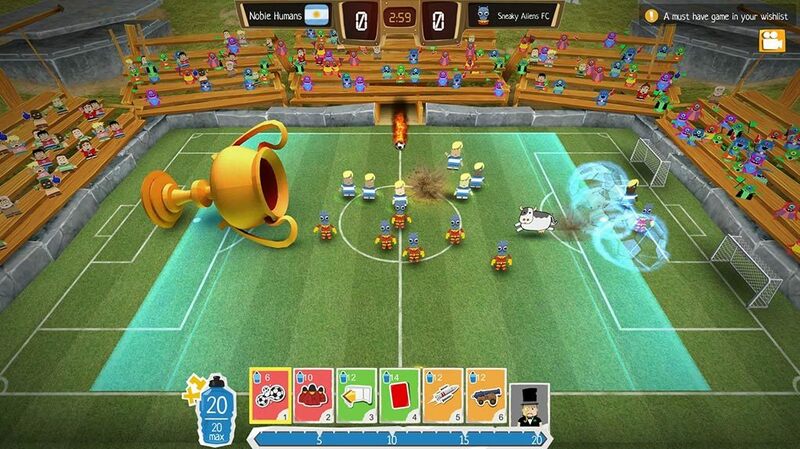 Crazy Soccer consists of intense and fast (under 5 minutes) matches between peculiar teams. Englishmen wearing classic top hats, petite blondes with kawaii eyes, yelling Spartans – the game’s customization options allow you to pick and match between different combinations. Yet, no star team can dream of winning the Interstellar Cup and defeating aliens without your help. 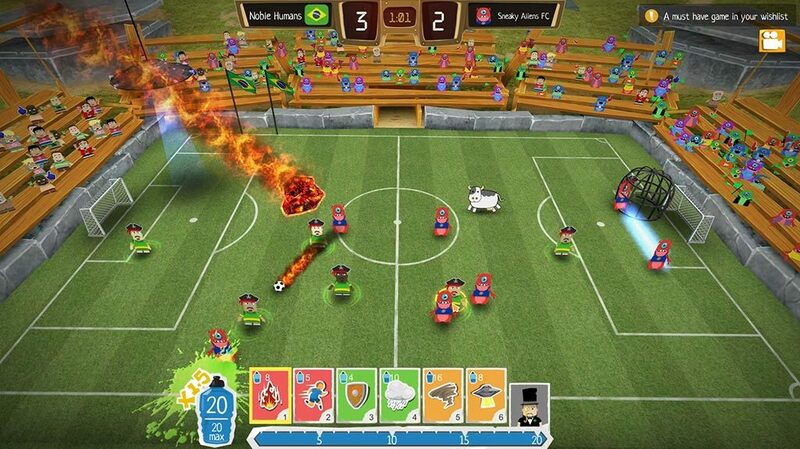 Decimate your team’s rivals using turrets, meteors, cows… or familiar looking legionnaires with special abilities. The original version of the game has received more than 4 000 reviews and got covered by popular internet personas like PewDiePie. This enhanced and remastered edition features a refreshed art style, upgraded maps, new alien races and skills. 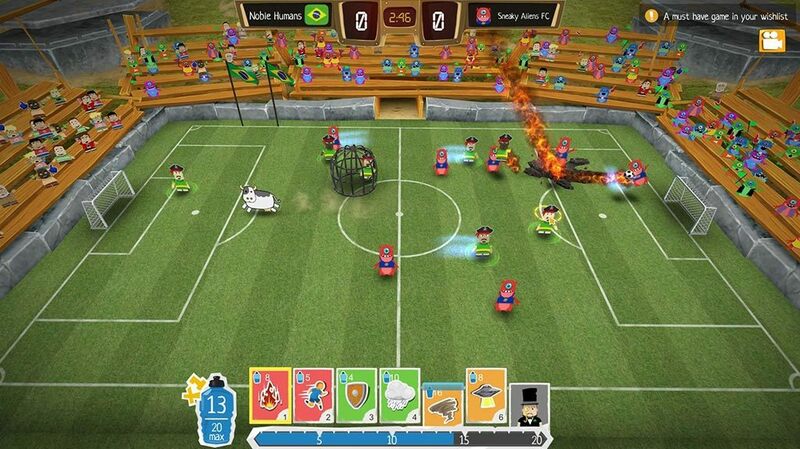 Crazy Soccer also features an improved multiplayer mode that you can play with friends or random opponents online. Will you be able to become the ultimate League champion? A revamped career mode with different planets and ALIENS. Three type of abilities: defence, attack or ‘GO NUTS’! Expressive characters available for hire, each with their own signature move. A variety of team customization options. 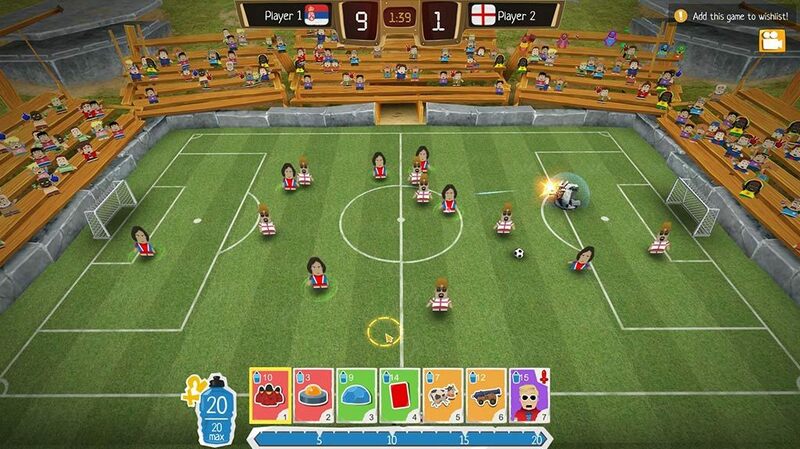 Multiplayer mode with league tables.